Test. That one word is enough to make high school students break out into a sweat. The ACT is among the most important tests a young student can take. The ACT measures a student’s proficiency in math, English, reading, and science. The test scores indicate whether a student is ready to do course work at the college level, and that’s critical. You don’t want to go to college unprepared. That’s why there’s a PreACT test, an exam that can help predict student success on the ACT. 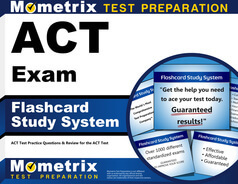 The pretest mirrors the ACT testing experience and tests how well students know the subjects. The guide below provides a primer on the PreACT, and information on an outstanding study guide to help your students prepare for one of the most challenging exams they’ll take. It’s an ACT practice test for students in the 9th through 12th grades. Students in the 10th grade are especially encouraged to take the pretest since they will take the full ACT in their junior or senior year. The pretest is different from the ACT because the pretest focuses on knowledge a student has attained early in his or her educational career — typically, by the 10th grade. The ACT tests knowledge attained during the entire school experience. Does the PreACT cover all ACT subject areas? The English section contains 45 total items. It measures written English by conventions of standard English (punctuation, usage, sentence structure and formation); production of writing (topic development, and organization, unity and cohesion), and knowledge of language. The math section contains 36 items, including categories of number and quantity; algebra; functions; geometry; statistics and probability; integrating essential skills and modeling. The test will cover math skills that include percentages, surface area, average and median, and volume; and interpreting, producing, and understanding math modeling. Students are allowed to use a calculator during this portion of the pretest, though all questions can be solved without one. The reading section contains 25 items, all about reading comprehension. Students will examine three reading passages to test their ability in understanding main ideas; making comparisons; examining cause and effect; and much more. It is crucial the students carefully read each passage. The reading test involves key ideas and details; craft and structure; and integration of knowledge and ideas. The science section contains 30 items. There are three reporting categories — interpretation of data; scientific investigation; and evaluation of models, inferences, and experimental results. In this section, students must analyze and interpret data, and undertake a scientific investigation that tests the ability to identify variables and controls, among other things. Why should students take the PreACT? The PreACT is an indicator for how well-prepared students are for the ACT exam. The PreACT test assesses strengths and weaknesses in the four course areas — math, English, reading and science. That means students know what areas they need to improve in, and can adjust their studies accordingly. The PreACT can help determine how ready students are for college success. With the PreACT results, teachers can advise students as they think about the courses they want to take in college. There’s also a big comfort factor. The PreACT, which is shorter than the actual exam, helps students become comfortable with the test material and in the testing environment. An “education and career journey,” which helps students identify career interests. In a related item, students will also receive a “interest-career fit” which links interests to preferred careers. How does the PreACT help students determine the careers they may find appealing? The PreACT collects data that includes career interests, biographical data, needs assessment, and high school course information. What about school districts? Will they get a report? Yes. School districts will receive an “educator report,” which summarizes (in aggregate) test results. Districts receive data that includes whether student scores differ by gender and/or ethic group; how scores, course work and educational plans relate to possible careers; and how scores and coursework relate to educational plans. When is the PreACT available? The PreACT is available from September to May each year. How long does the PreACTtake? The entire PreACT takes 3 hours and 15 minutes. The test is administered at school, in a supervised setting. The test takes 2 hours and 15 minutes. The other 60 minutes are reserved for “non-test” work, which includes gathering student information (course/grade information, etc). That portion of the exam may be administered in a non-secure, supervised school setting, before or on the test day. Can anyone order the PreACT? No. The exam must be ordered by school districts or school district customers. They can do so by creating an online account. Since it takes at least 10 business days to receive the pre-test, it is best to order materials as soon as possible, but at least three to four weeks before the testing date. Yes, that’s a lot of information. And yes, it can be overwhelming. But with the right set of study guides and flash cards, you’ll be well on your way to PreACT test success. That’s where Mometrix comes in. Our team of professionals has created an amazing study guide that helps you tackle every aspect of the PreACT, including comprehensive reviews of the four subjects on the test — math, English, reading and science. Our flashcard system — large, and easy to read — are the perfect tutoring tool. The cards make it easy for a friend to help quiz you on the questions you’ll need to know to pass the PreACT. The cards also help you learn through repetition. We’ve made getting the help you need easy.